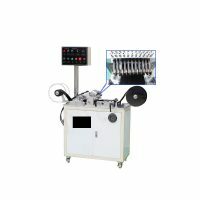 Ultrasonic Non Woven Bag Handle Making Machine. 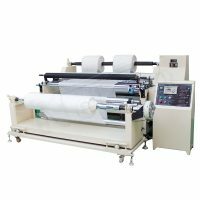 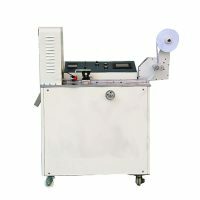 The Nonwoven Bag Handle Cutting Machine This machine mainly is used for cutting nonwoven bag handle, which also is essential to the nonwoven bag manufacturer procedure. Cutting length: 0-1.6m, adjustable and precise. 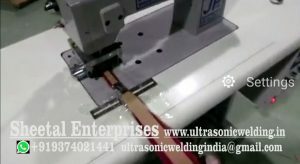 Auto stop when material is shortage. 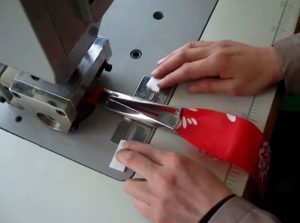 Cutting mould was made of imported steel, mechanical transmission, stable and wear-resisting, longer useful life than traditional mould. 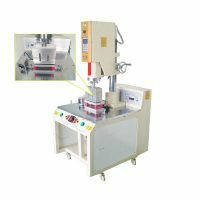 Precisely speed regulation device, adjust cutting speed depended on customers requirement.